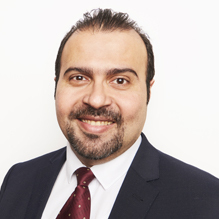 Dr Micheal Kurkar is a highly experienced Consultant in General Adult and Perinatal Psychiatry currently working for Pennine Care NHS Foundation Trust in their adult mental health services department. He has a Medical Degree, Post Graduate Certificate in Medical Education and Masters in Psychiatry. Dr Kurkar is also a Member of the General Medical Council and Member of the Royal College of Psychiatrists. Dr Kurkar has over 5 years’ experience working in the NHS and private sector. Dr Kurkar works with a wide range of disorders, including ADHD, Anxiety, Depression, Bipolar Disorder and Medication Reviews. He also has special interest in perinatal psychiatry, and as such is able to comprehensively cover Post-Natal Depression, Miscarriage and other related issues. Has gained some experience completing Medico Legal Reports for court, Dr Kurkar is able to take on cases relating to Capacity, Trauma, Post-Traumatic Stress Disorder (PTSD), Puerperal Psychosis, Depression and Post-Natal Depression. Dr Kurkar is described by his peers as a fantastic clinician, with excellent knowledge and a professional and dedicated outlook towards his patients. Clinical Partners are proud to present Dr Kurkar to our Manchester patients. You don't need a GP referral to see Dr Micheal Kurkar.